New years are new chapters in the stories of our lives. For me, the dawn of a new year is always an exciting time to look back and see what’s unfolded in the year gone by, and begin to plan and think and dream about what God may have for me in the one to come. Each life is a story, unfolding year by year. This year will be my fourth reading of the entire Bible, and I’m pretty excited. Normally I read and dig and cross-reference and look up commentaries, but this year is different. This year I will put aside the commentaries for every verse, the cross-references for every passage, and focus instead on the flow of events as they unfold, asking God to help me read not like a scholar, but like a child, caught up in the wonder of it all. This year I will approach the reading of Scripture in the same way I approach my life: as a story. I want to try and see the drama unfold with fresh eyes, a new perspective, an open mind, and let God’s Word draw me in to the narrative. To help me do this, I’ll be reading through the New Living Translation using the Chronological plan from YouVersion.com (provided by Blue Letter Bible). My hope is that the updated language of this excellent translation, combined with a reading plan that moves historically from beginning to end, will heighten my understanding of the big picture. Why am I doing this? Simple. 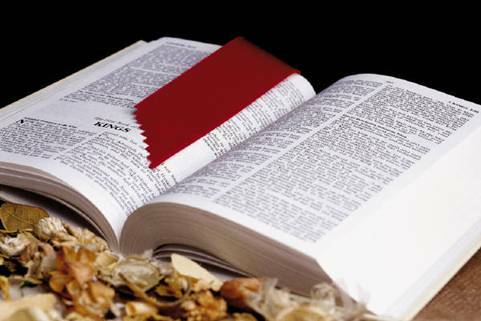 The Bible is God’s gift to us, not primarily as a book of information, but a book of transformation. His desire for us in reading Scripture is not that we would better know the words, but better know and love the “Word” who gave them. Scripture is given so that we might be changed, and few things have greater potential to change hearts than a good story. How are YOU engaging with God’s Word this year?